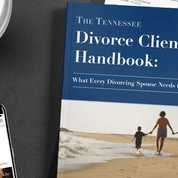 Tennessee case summary on foreign decrees post-divorce. Patricia Frias v. Felipe Frias, et al. The husband and wife in this White County, Tennessee, case were divorced in California in 2006, and litigation continued in California over the years. The husband moved to Tennessee and purchased two parcels of real property. In 2016, the California court ordered the husband to pay approximately $205,000. In 2017, the wife filed a complaint in Tennessee asking the Tennessee court to enforce the California judgment. Specifically, she asked the court to attach the Tennessee real property for payment of the $205,000. After trial, the Tennessee court authenticated the California judgment and adopted the order. It ordered the two properties placed in constructive trust in favor of the wife. The husband then appealed to the Tennessee Court of Appeals. While the appeals court noted that the husband’s brief was unclear, essentially he argued that the California judgment should not be enforced because the wife committed “fraud” and “forgery” in the California case. Unfortunately, however, for the husband, the appeals court pointed out that no evidence of such fraud or forgery had been introduced at trial. Therefore, the appeals court agreed that there was no reason not to enroll the judgment. The appeals court found that the California judgment was properly authenticated, and that the relief adopted by the Tennessee court was proper. Therefore, it affirmed the lower court’s ruling. No. M2017-02391-COA-R3-CV (Tenn. Ct. App. Oct. 29, 2018).